I have gotten in a pretty good habit of going to Goodwill at least once a month. Not sure my husband would agree that it is a 'good' habit, but if you are someone who enjoys the hunt of thrifting... then you know:) Everyday people are literally throwing away furniture, perfectly good furniture. And if you want to find it, then you have to be looking for it. Some ends up on the side of the road... like this chair. And some ends up in second-hand stores like Goodwill. Remember this chair? How do you know when enough is enough? 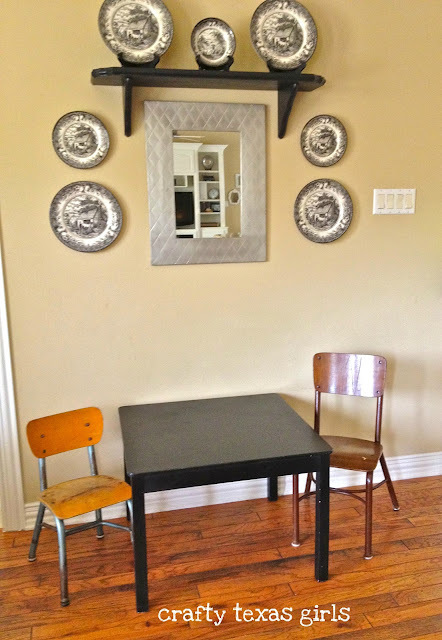 How many vintage chairs does one house really need? I needed one for my craft room table. 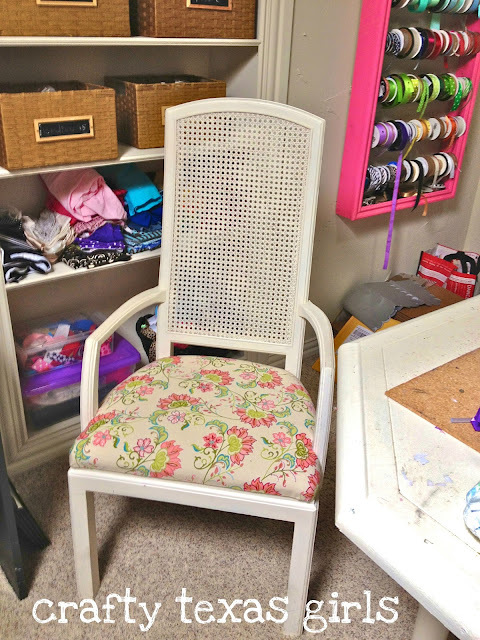 Then I needed another one for my sewing desk. Of course my computer desk had to have a chair. And then Afton needed one for her projects. And I had to have two for our 'breakfast nook' turned 'reading corner'. Hmm....I think you can see where this is going. But the prices are so low and isn't recycling (or 'furniture rescue' as I like to call it) a noble act in itself?!! 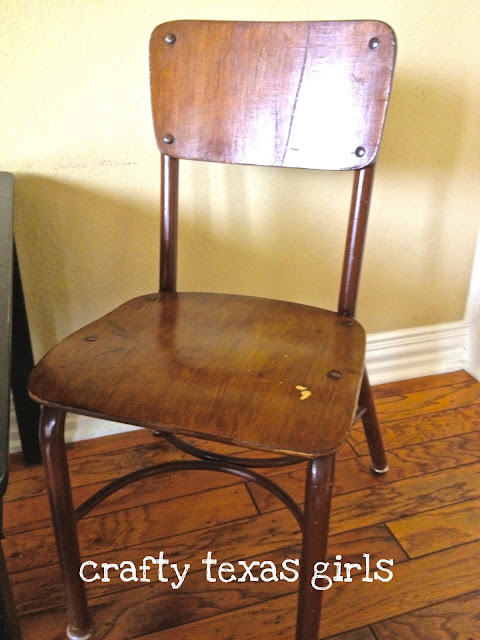 Most recently the wooden chairs that came with the little table broke. 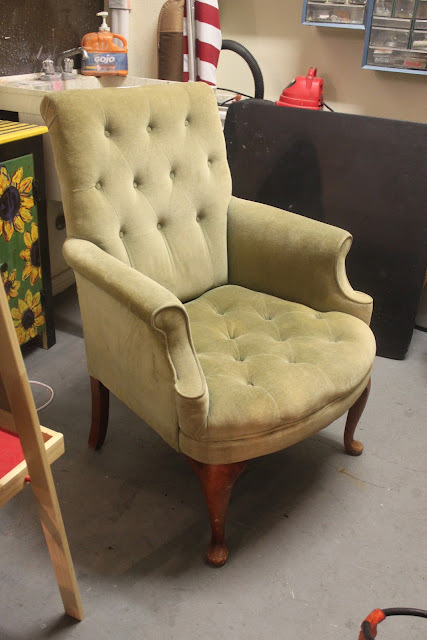 So I went in search of two small vintage chairs. When you thrift, the best part is that you aren't looking for matching sets. And when you don't have to match, you are free to choose pieces based on shape, style, and well--- just a feeling of 'love'. 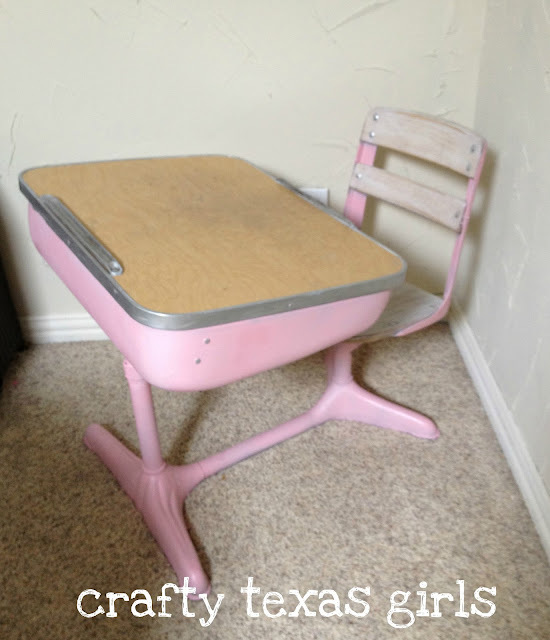 I love these antique school chairs. I haven't painted them, I like the colors and distressed look. 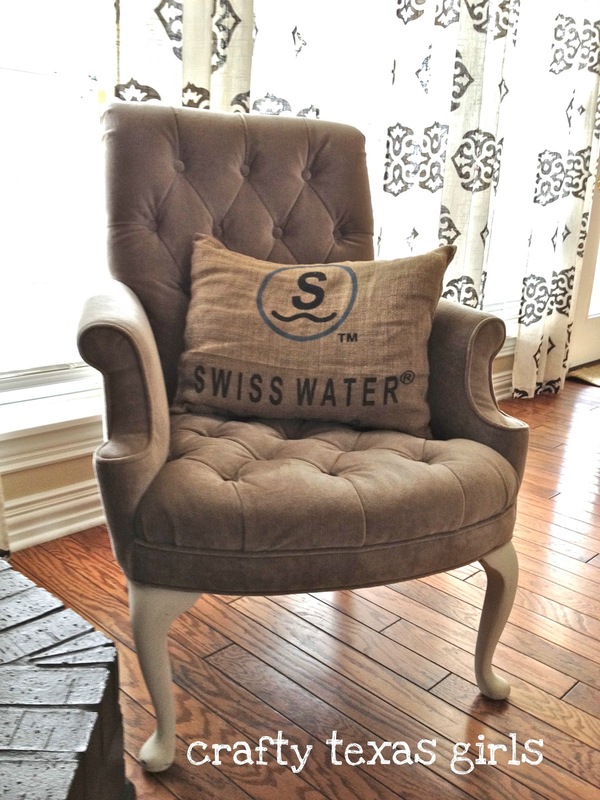 Wanting to make your house feel more 'homey'? Wanting to give 'unwanted furniture' a good home? Then try adding a vintage chair. It can add a new layer of interest to your decor. And everyone loves great furniture with a little history. Do you own any vintage chairs? Where did you find them? PS. Come back later for "Cowgirl Up!" -- the original linked linky party. This week, it is my turn to show-off some of the best posts from the party. And I chose 11 of your projects to feature! I have 4 upholstered vintage chairs and 6 that belong with a dining set. They are probably my favorite chairs in the house! 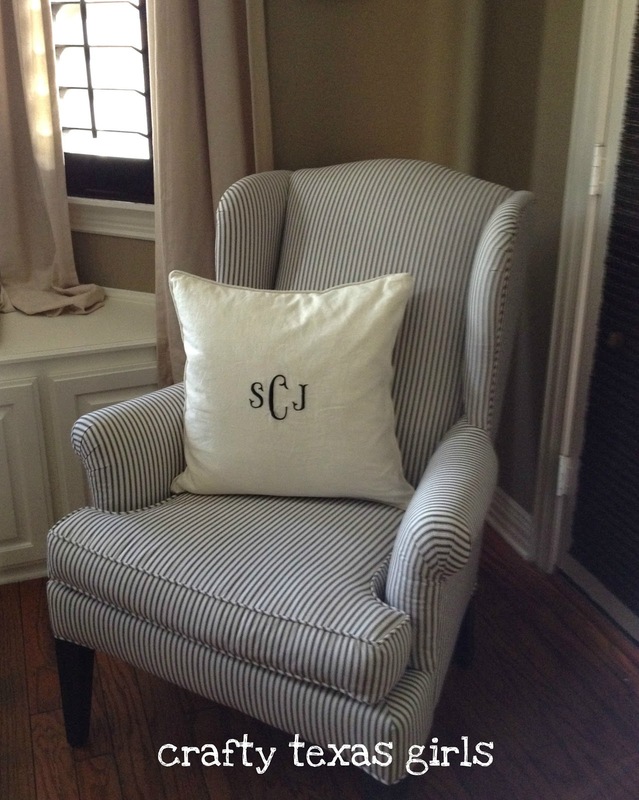 It's so easy to freshen them up with new fabric and paint. Love your black and white pair of wingbacks! 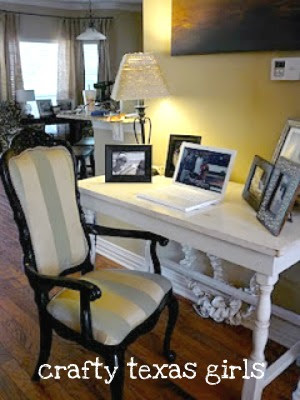 Hi Samantha - I really enjoy reading your blog and getting ideas for my house. Your girls are precious, too. I live near you in the Southlake area and wondered what Good Will you like to go to in our area? I'm working in refinishing a rocking chair that I got at a local thrift store. Can't wait to get it done so it can go in our playroom. I love your restores! All of those chairs are gorgeous! I need one, like, bad! Thanks friends! 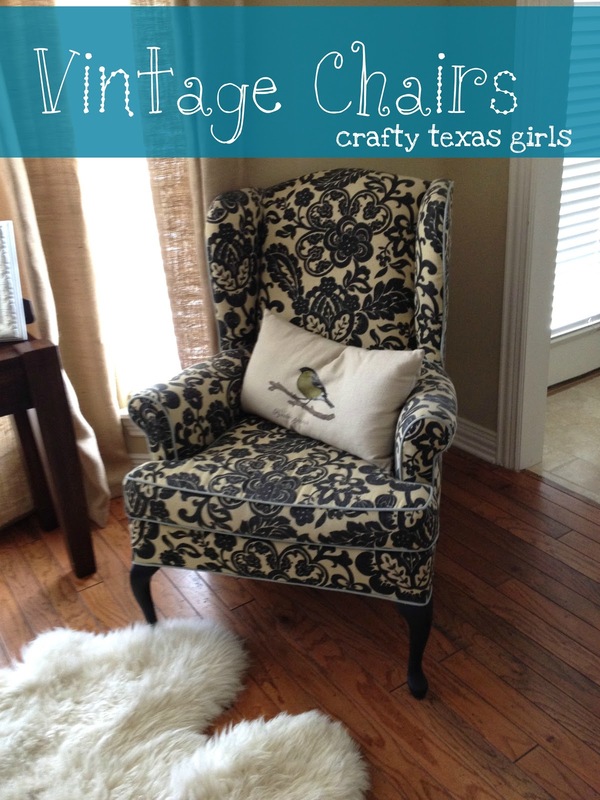 I am happy to hear that you are all obsessed with vintage chairs too. Beth- In our area, the "Goodwill" off 157 is great. I also like "Graceful Good Buys" in Grapevine off of Northwest Highway. Lots to choose from! Hi-- I love your blog... I just discovered it! I absolutely love love love the vintage armchairs but don't have a creative bone in my body :) Where does one get them reupholstered from?? Thanks! Wow, thanks for sharing, she is awesome! Glad ya'll like my chairs!